Eggs! whats not to like about egg...right? 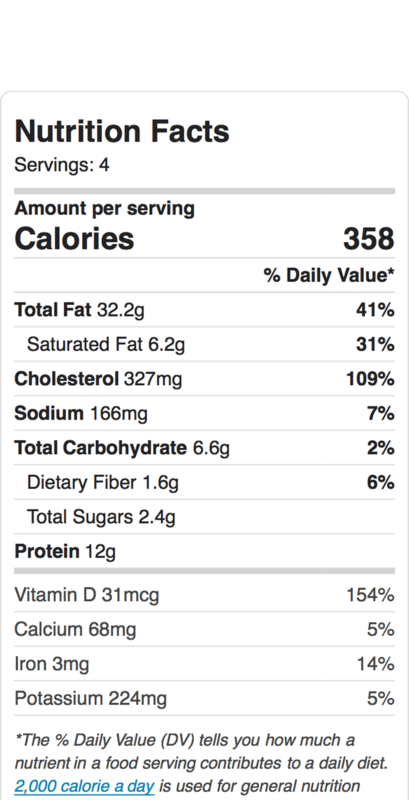 One egg, heaps of way to have them! One can choose to have hard boiled eggs, soft boiled eggs, scrambled eggs, poached eggs, omelette, sunny side up, fried with crispy sides... ooh many more. Have 'em with soup, have an egg by the side, or have an egg in salad. How do I have my eggs? 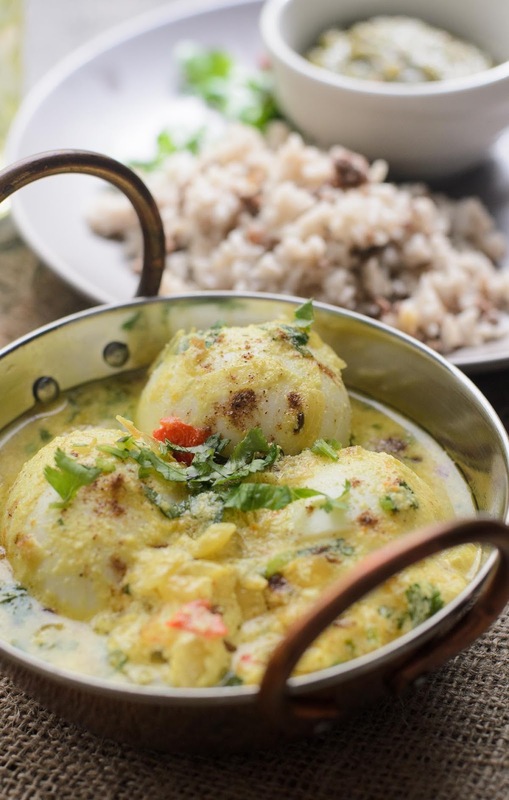 I love this Eggs in Spiced Yogurt Sauce, ever since I found them in an old recipe book. And I have been cooking them whenever I have extra yogurt tub, and I will always have at least a carton of eggs in my fridge. 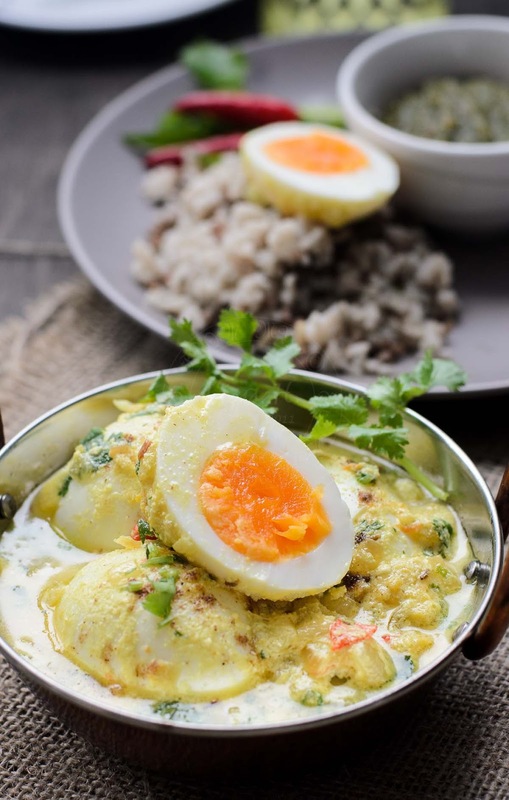 Eggs in Spiced Yogurt Sauce has become one of my favourite dish to cook. 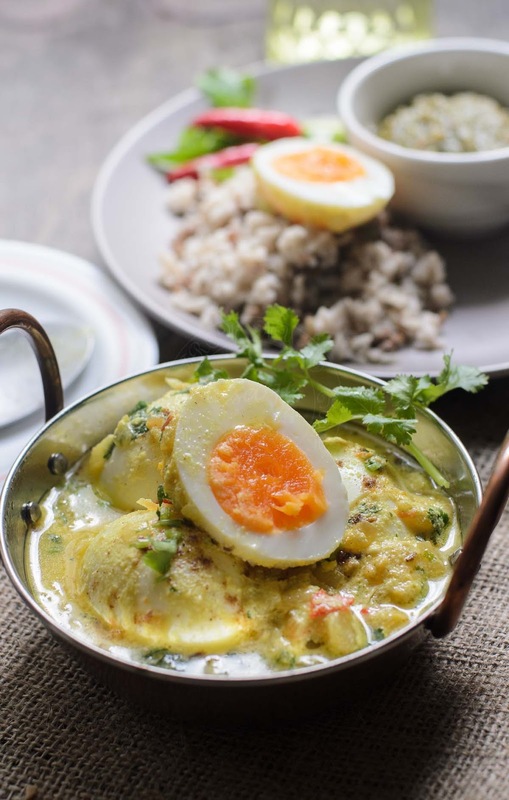 Whenever I cooked Eggs in Spiced Yogurt Sauce, my kids would say.... "ah! Mom's default dish"! This has been ... my signature dish, my go to dish whenever I have friends over for dinner. 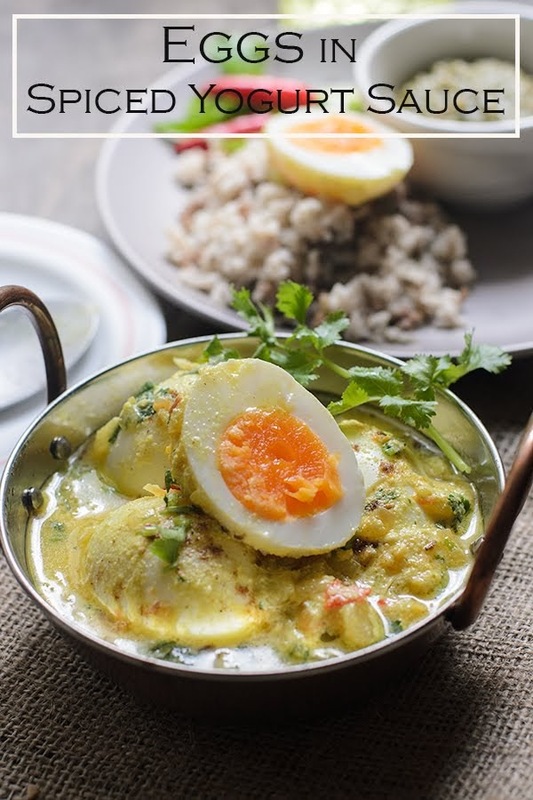 Eggs in Spiced Yogurt Sauce is easy to cook and its very tasty too. 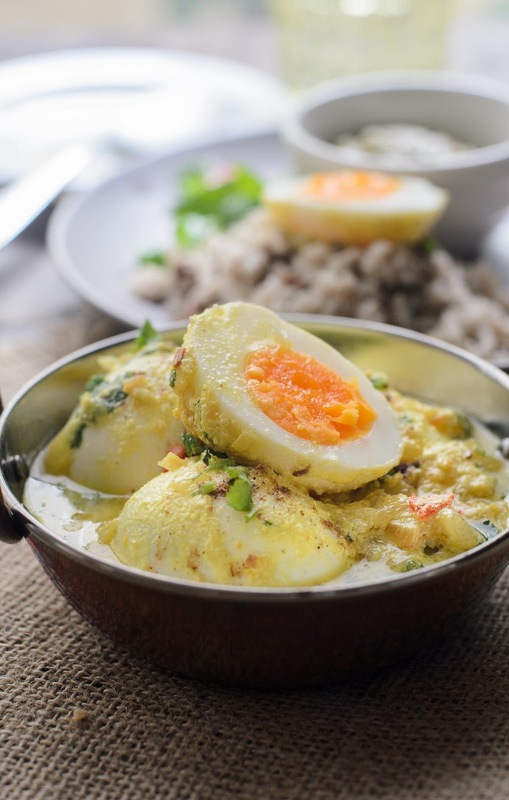 Care to share some of your favourite egg dish? Pound garlic and ginger into a paste. Add chilli powder and turmeric. Mix well. In a wok or heavy based saucepan, saute onions in oil till until onion is soft. Add yoghurt, cumin seeds, pounded garlic-ginger paste, ground coriander and salt. Cook and stir continuously until liquid from yoghurt evaporate. At this stage, the mixture will look like curdle milk. 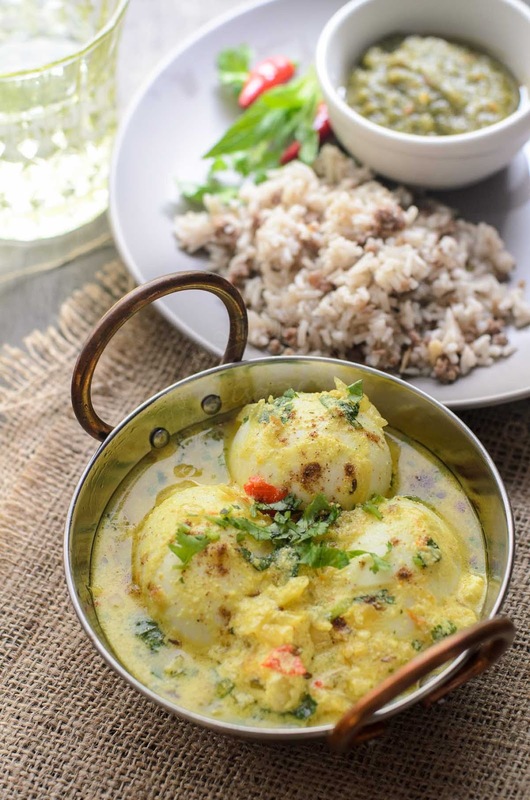 Lightly prick eggs with knife or fork to all allow eggs to absorb all the gorgeous spices flavours. On low heat, gently cook the eggs until they are heated through. Sprinkle with garam masala and cook for further 2 minutes. Stir in chopped coriander and mint. 1) add 100 ml water if needed. We love this recipe and have made it several times.I suspect it would work as well with olive oil substituted for the butter, which would be more heart-healthy. I don't actually think you have made this recipe!